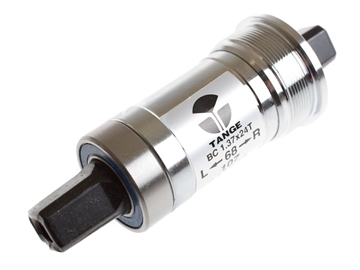 The Longest lasting square taper bottom bracket out there. 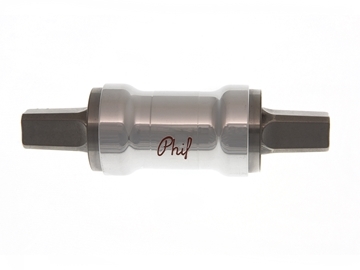 Heat-treated stainless steel spindle bottom bracket is offered with an aluminium alloy cartridge and Phil Wood PWX03 bearings for maximum durability and minimum flex. Available with Campy (ISO) or Shimano (JIS) tapers and in a variety of lengths. Lengths not listed below can be special ordered, Ti axle options available – please contact us for more details. 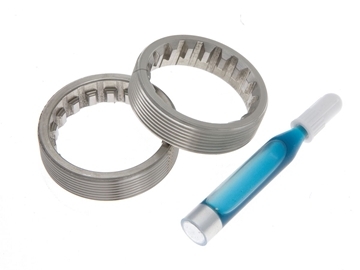 All bottom bracket sets require the Phil Wood bottom bracket cups and installation tool. 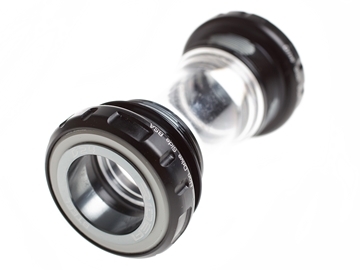 Designed to help protect your Phil Wood bottom bracket cups from getting dust, dirt and mud that accumulate in and around the bottom bracket cup splines. They are designed with a drain opening to allow any moisture between the bearing and the mudguard to vent out. They will fit onto any Phil Wood square tapered bottom bracket cup sets. Each set of mudguards comes with 4 rubber o-rings (two pre-installed and two replacement). 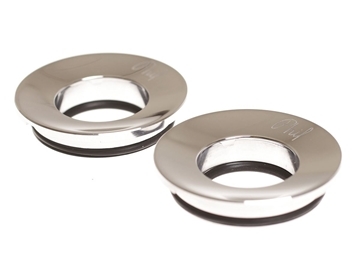 Phil Wood threaded bottom bracket cups will fit onto any of Phil Wood bottom bracket cartridges produced since 1971. They are an interference fit with the bottom bracket, and will require Phil Wood bottom bracket installation tool to install. Cups will ship with a small tube of thread retaining compound (which must be used during assembly). Cutting taps used to produce the bottom bracket thread in cups leave microscopic hairs and cracks in the thread form. Thread in PW cups is hand polish to all but eliminate galling between cups and the bottom bracket thread. 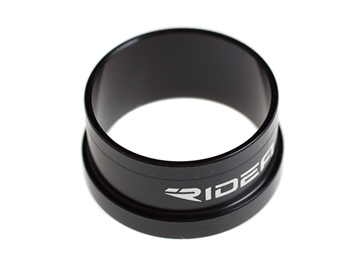 Using RIDEA patented bearing technology, the RIDEA bottom brackets are designed to offer low resistance whilst being stiff and direct to provide the best performance when paired with RIDEA 3D Track crank. Great quality at an amazing price. 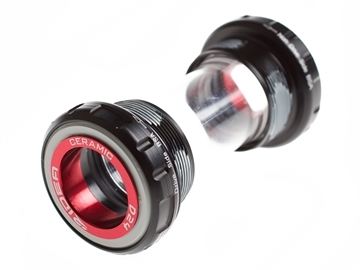 Durable, hard-wearing sealed cartridge bottom bracket with JIS (Shimano) square tapered spindle fitting for single ring cranksets. Super-accurate sealed bearings ensure smooth operation and improved durability. Maintenance-free sealed cartridge bearing assembly keeps out dirt, mud, and water for long bearing life.